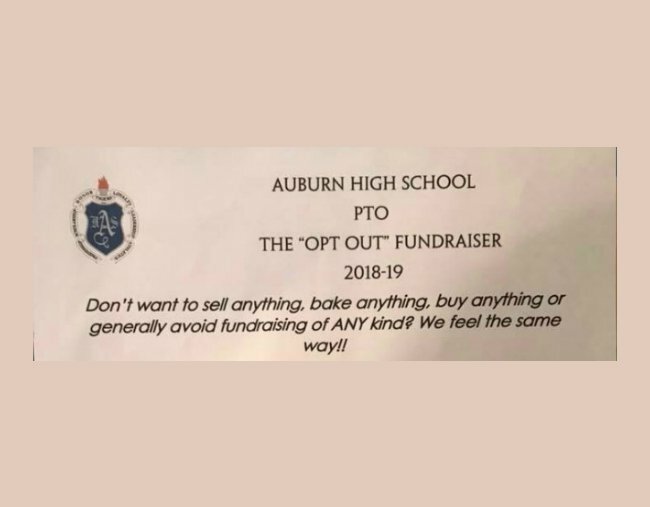 Viral school fundraiser 'opt-out' letter lets parents avoid fundraising. Shut up and take our money: School's fundraising 'opt-out' letter goes viral. At the beginning of every school year I remember my mum complaining about the inevitable school fundraisers. Bake sales, selling chocolate boxes, raffles… it was relentless. But one school’s hilarious fundraising ‘opt-out’ note has offered a fantastic alternative to the solution, and when I showed it to my mum she said it was “very clever lol”. 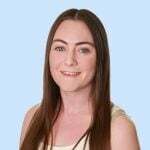 The letter offered parents the chance to opt-out of traditional fundraising by giving a one-off donation and after being posted to social media quickly went viral. Parents too busy (or lazy) to respond to phone calls, emails or sign up lists can avoid fundraising responsibilities with a donation of $25. Or, for a $50 or more bribe, the school will forget their name, their face and not ask for anything else all year “except to complete this form!”. Briana Leggett Woods, who has a 16-year-old daughter at the high school shared it to Facebook where it received more than 1000 comments. “I would pay the $50 and feel like I got away cheap,” wrote one Facebook user. Another was jealous it wasn’t around when her kids were in school (this is not my mum – I swear!). “Finally a school that got it right! Of course, there are those parents that enjoy fund raising because it provides them with a feeling of accomplishment and fills their time. I was never that parent,” she wrote. But one parent said it best with a gif.